“On September 25, 2003, our daughter, Julie Ayer Rubenzer, walked into the Cosmetic Surgery Center in Sarasota, Florida. She did not walk out. This diary records the outrageous events that occurred from that first phone call to 2011—the ruling on Julie’s death certificate,” says author Donald W. Ayer. 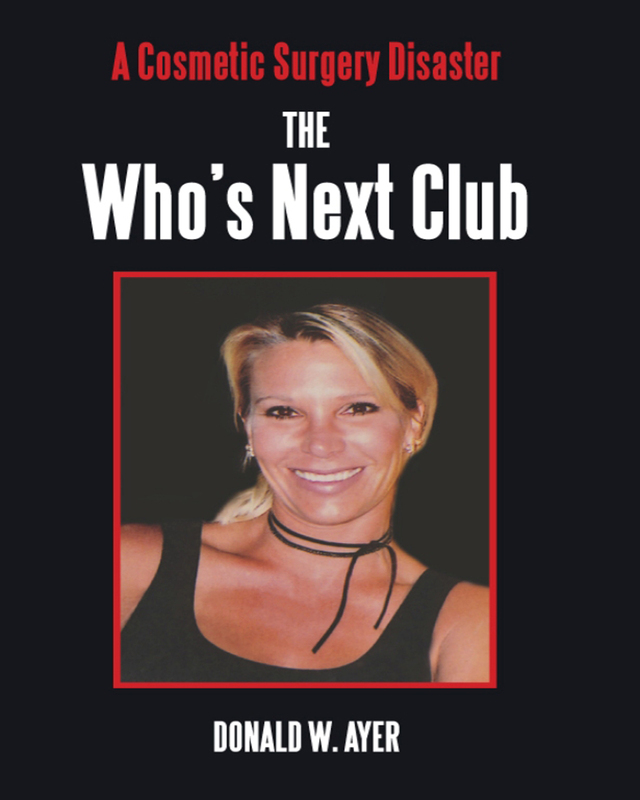 The Who’s Next Club: A Cosmetic Surgery Disaster records the painful aftermath of a surgery gone wrong. This insightful true story was written in the hope of making a difference by reducing the cosmetic surgery death rate and exposing the disparity in justice when the people seeking justice are not rich or famous. In 2005, Florida conducted a licensing hearing in Sarasota. “We attended, heard the sworn testimony, and at that point had a legal record of that surgery.” But the Ayers did not receive justice or closure.